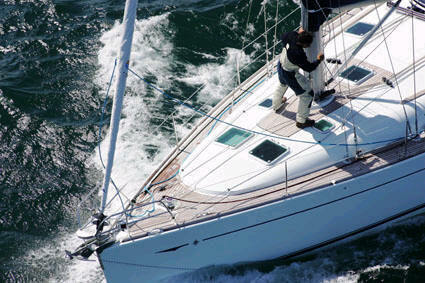 The Jeanneau Sun Odyssey 45.2 based in the Caribbean offers sleek, stately lines and graceful exterior. 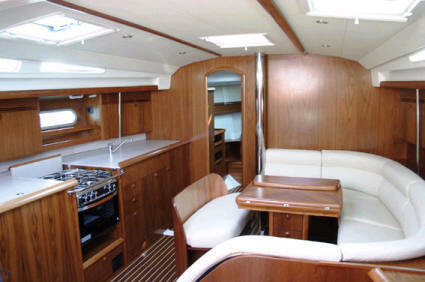 The Jeanneau Sun Odyssey 45.2 contains a wealth of interior space. 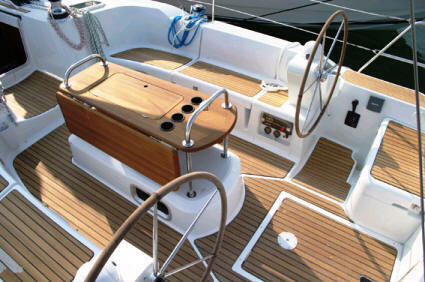 Her well designed helm, speed and steady trim mean that even with the spinnaker raised, the autopilot can take the helm. 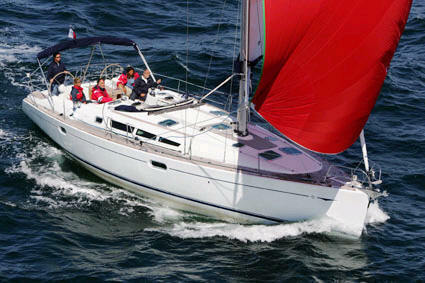 The Jeanneau Sun Odyssey 45.2 has four double cabins, two forward and two aft. There are two heads, both with hot and cold pressurized showers, one forward, one aft. The Jeanneau has a fully batterned main, furling genoa, wheel steering, self tailing and power winches and an electric anchor winch. 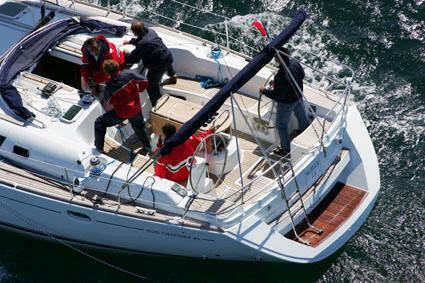 Marine electronics include GPS, autopilot, chart plotter, VHF. 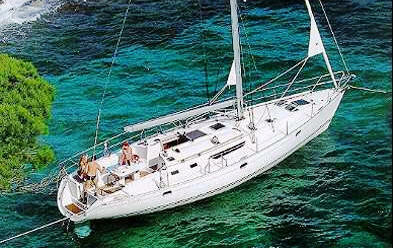 There is a bimini and dodger, an ondeck BBQ, inflatable dinghy with outboard, swimming platform with ladder and shower, AM/FM radio & CD player, fully equipped galley with LPG stove & oven, fridge/freezer, pre-charter cruising guides, full boat and chart briefing. Optional extras include a skipper and a provisioning service.